As Mayor of the Langeberg Municipality it is an immensely proud moment for me to announce that the Langeberg Municipality received a "clean audit" from the Auditor General. This is a great moment to be associated with the Langeberg Municipality, one of only 5 Municipalities with this achievement. 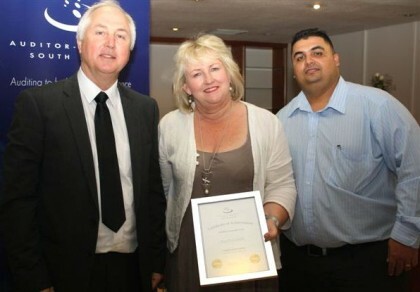 Langeberg Municipality is a leader amongst Municipalities that charts the way for others. This is the moment where we reap the fruits of all our hard work. We received unqualified audit reports since 2006. This year we got a "clean audit". An unqualified audit report is a report which states that the financial records of the municipality is in order, but highlights some issues that needs to be addressed. A clean audit means that it is an unqualified audit report and that all laws and regulations that were set are met. In 2009 the Minister of Local Government launched a campaign that all municipalities must have �clean audits� by 2014 Clean Audit Reports. The Langeberg Municipality is one of only five municipalities that already achieved this performance in 2012, 2 years earlier than the set target. The other municipalities: Mossel Bay, George, Swartland and West Coast District Municipality. My sincere gratitude and appreciation to everybody, especially the personnel, for their hard work and dedication to ensure a �clean administration".